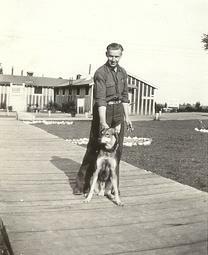 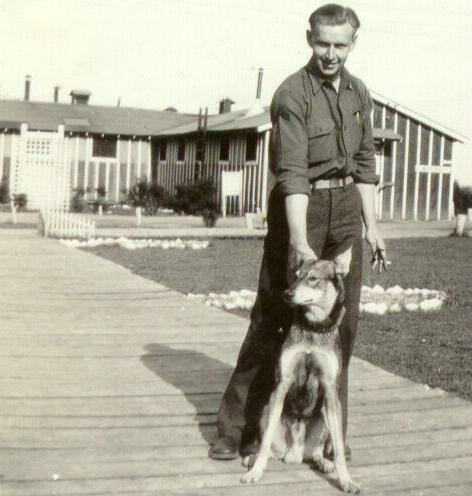 1938 Leroy CCC camp Soldier and his Dog(1938).The building behind them is the camp mess hall. . .